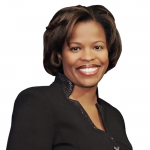 Carolynn Johnson is the Chief Operating Officer for DiversityInc Media LLC. As the COO for the past 13 years, Carolynn is responsible for operations, the production of DiversityInc magazine, all web properties and all events. She is also responsible for sales management, information technology, circulation, business development and the development and execution of the annual DiversityInc Top 50 competition. She has been named the next CEO of DiversityInc. Prior to joining DiversityInc in 2003, Ms. Johnson was the marketing coordinator, pharmaceutical and science groups, for Advanstar Communications. Prior to that, she was an account manager at Correct Communications, a full-service marketing and communications agency. She completed an executive management program at the Tuck Business School at Dartmouth College and earned an MBA from Rutgers Business School. She has been director of the DiversityInc Foundation for the past seven years, and is on the Board of Trustees at Bennett College for Women in Greensboro, NC. While completing her MBA, she was an elected class officer and was a recipient of the Ted Marousas Award for Expanding the footprint of the Rutgers EMBA.